One of the events I most yearned for growing up by the coast was the occurrence of a very low spring tide. Low tides have always fascinated me and the opportunity to explore areas of the shoreline, seldom visible and accessible, filled me with huge and overpowering excitement. Albeit a brief window, the hour spent at slack water combing a half mile stretch of rocky shore was an opportunity rarely presented and only achievable under the right conditions, namely; the Spring tide had to be a big one and preferably, preceded by a good Sou’westerly blow. If those elements didn’t exist, then it was just an average tide and the outcrops of rock that lay between the groynes, harbouring all those fascinating creatures and plants lay tantalizingly out of reach, only then being just visible as the long breakers creamed their weedy tops. However, many times over the years, the tide did fall surprisingly and excitingly low. It was on these occasional tides that the adventures began and the rewards realised. My father knew all the rocks, their composition, their pools, their flora and fauna and how best to harvest from them. 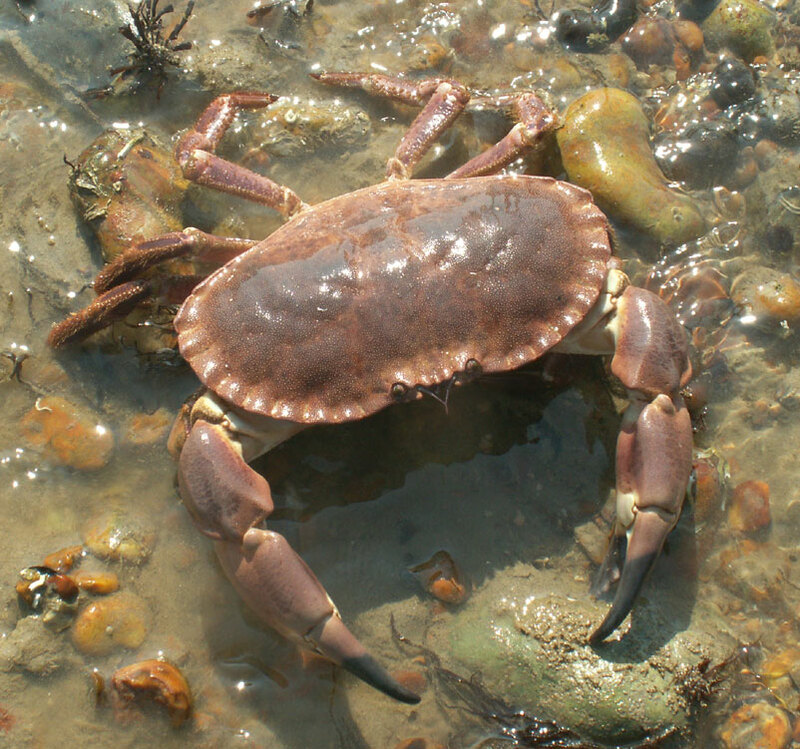 From May onwards the prize would be Brown (or Edible ) crabs (Cancer pagurus), often crammed into crevices with rivulets of sea awash round them. This was before they changed their shells and they were hard and full of their wonderfully flavoursome meat, although hugely aggressive and stubborn. From June onwards came the ultimate thrill. 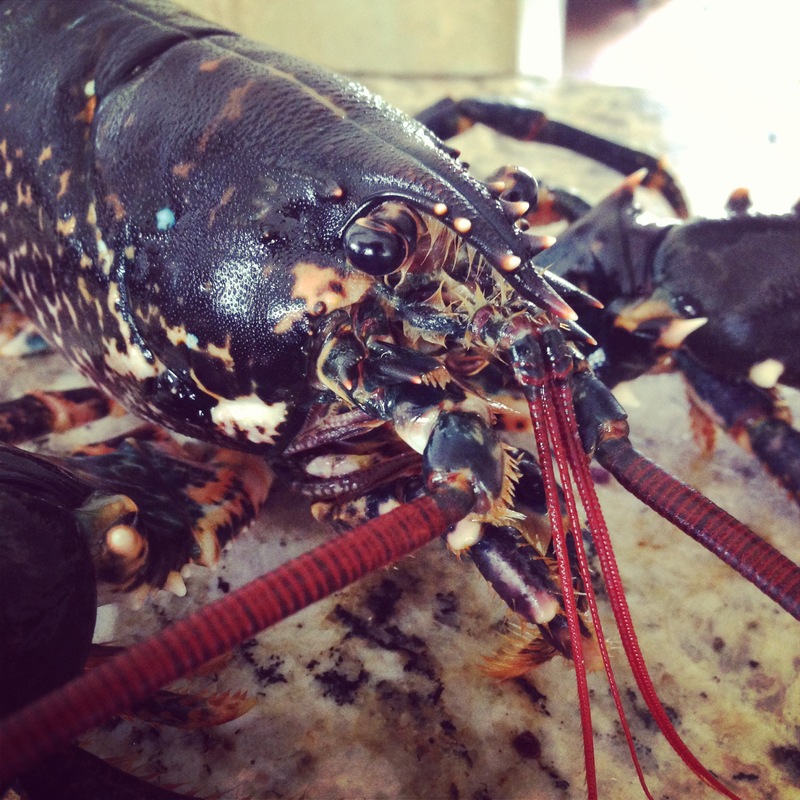 LOBSTERS (Homarus gammarus). They lay differently in the rocks, and were enticed out from underneath their craggy and barnacled ledges with a stout rod or cane. Sometimes their long red feelers protruded beyond their sanctuary belying their position and Father, with a swift hand, would grasp one quickly and firmly before it chanced to make off into deeper water, tail flapping wildly and moving at considerable pace. 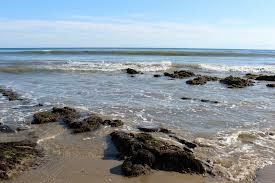 The shoreline is constantly changing and very sadly, that beautiful, sea-washed and sea-weedy landscape has vanished. The impact of Longshore Drift and the construction of giant boulder strewn breakwaters has replaced the old concrete and wooden groynes of my youth. But the sea is a remarkable place and even these modern feats of engineering are now colonised themselves by a host of species that reveal their own spectacle, once the tide falls away to its lowest ebb. Just before WWII my father and his fisherman-mate Doug were on their way to the Summer Show at the local beach-side theatre. They knew a low tide was due and had factored in an hour on the rocks before the curtain went up. They came across a large and particularly stubborn Hen Lobster of around 4lb which refused to be extracted and with the young flood tide starting to run and in danger of being late to take their seats, they blocked the entrance to her lair with flints and other lumps of rock. 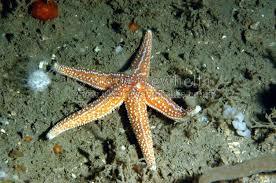 On the next low tide the following morning, they returned, removed the temporary barricade and brought her out.